Manure is a combination of digested, partially digested, and undigested remains of the food that an animal eats, along with a broad mix of microorganisms. Or in lay man’s term the dung (feces) and urine, mostly of farm animals, with or without other materials used as bedding. Why Use Manure For Garden? 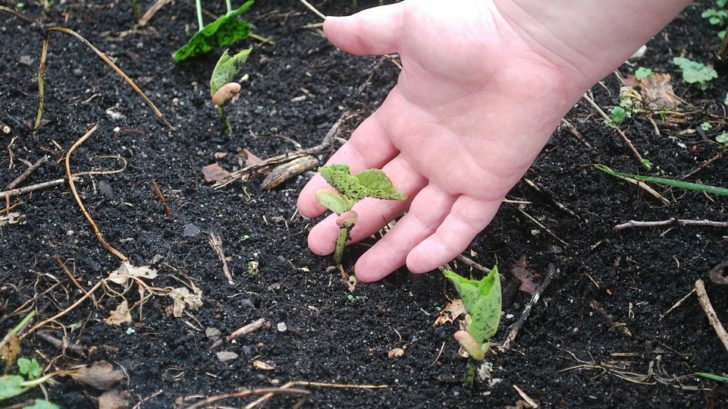 Gardeners use manures because they add nutrients and organic matters to the soil. Nutrients in manure do an excellent job of fulfilling the nutritional needs of the plants and help them grow. Animal manures are a great source of nutrients like Nitrogen and Phosphorus. We all know how important organic materials are for our soil. They build the soil structure an important part of maintaining proper drainage, water, and air penetration and holding water into the soil. Nowadays, animal manure is gaining popularity over synthetic fertilizers in the agricultural field. And if you know the basic concept of organic gardening you will definitely like to choose manure over any chemical fertilizer. When we use the word “manure” what we generally mean is animal manure. This is different from plant manure or green manure. Plant manure is also called the green manure. Here you plant cover crops and then turned under specifically to fertilize the soil. In case of animal manure, it is basically the dung (feces) and urine, mostly of farm animals. Here are some of the most common forms of animal manure. Chicken manure: They are rich in nitrogen and ammonia. They can be too hot to handle for plants if applied directly. Dog, Cat or Pig Manure: Most of the time they are infested with pathogens so best is to avoid them. Worm Casting: it is very rich in nutrients but often expensive in comparison to others. Fresh manure is usually moist and has a mild, strong or unpleasant odor depending on the animal. Whereas composted manure is totally different in nature and has hardly any resemblance to the original one. How the manure is handled and stored. Generally, manure is very cheap than other forms of fertilizers for comparable amounts of nutrients. Drier the manure, chances are it has a greater concentration of nutrients than wet ones. During storage manure can lose from 15 to 60% nitrogen, to prevent this you should cover it during storage. Roughly half of the nitrogen in manure will be available to plants in the first year after application and the other half will be released slowly over time as more complex compounds are decomposed. Related read: Nutrition in Plants. How To Use The Manure For Garden? The best way to use the manure is to get it composted. 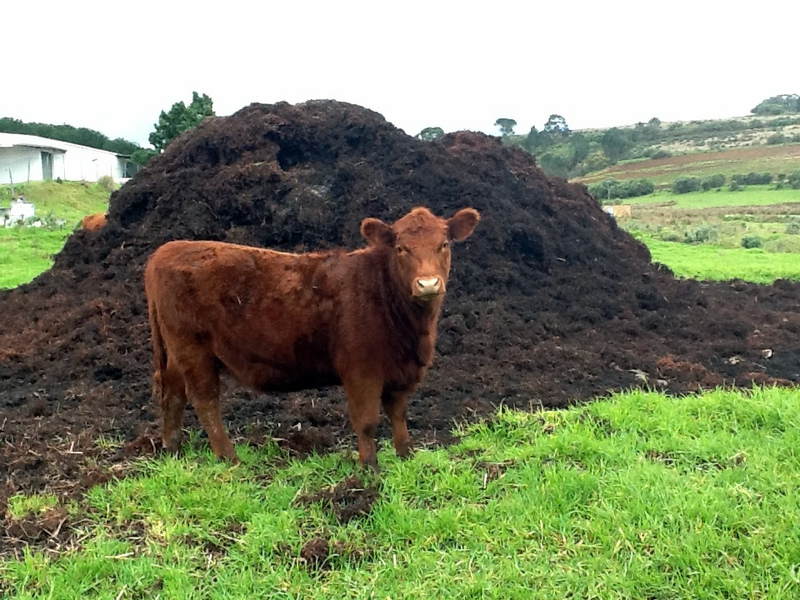 Manures generally have a high ratio of nitrogen compared to other composting ingredients. And so it needed to be composted with some dry leaves etc which have a higher ratio of carbon material. You should maintain the proper C:N ratio for the compost to work well. Use two different bins one for the mixing the manure with dry leaves etc. and the second one is for the decomposed one. First mix the manure with dry leaves etc and keep it for one month or so for decomposition. Keep adding water from time to time for providing moisture. It will heat up and can reach up to a temperature of 130 degrees. Once you realize the temperature has been settled down it is time for the compost to be shifted to the second bin. How to increase the speed of decomposition? Some manure will take more than that. Spread the composted manure over the garden 1/2 inch thick. Add more in case the soil is very poor in quality with little or no organic matter. Most of the time the nutrient contents of the manure gets lost in the fall. The best way to prevent this is by growing cover crops. Cover crops will take the available nitrogen and store in them once they decompose you will get the nutrients back. The nitrogen release rate of manures caries according to the species. If you are using poultry manure or liquid manures, nitrogen release rate would be far higher. This is due to the fact that these manures have a higher nitrogen-to-carbon ratio. As we discussed in earlier an increase nitrogen ratio means higher microbial activity. Unlike nitrogen, phosphorus is not readily lost from manure and the soil, and it remains in the soil for a longer period of time. Using raw manure is not advisable but if you still want to use it, apply it 60 days prior to planting any vegetable. This gives time for the breakdown of pathogens. Plant any cover crop in between and let the manure mature. Don’t use manure around plants during the active growing season. Use mulch to cover the manure so your edibles don’t come in contact with the soil. You can use straw or dry leaves for this purpose. Don’t add an excessive amount of water to the manure. If you are doing it during the rainy season it is important that you cover the bin with plastic. Remove any rotten roots that you find. Buy healthy transplants that has a strong root system. Use gloves throughout the entire process while handling manure. Wash your hands properly after finishing the work.